‘Old-Time Fiddle Music’ is 6 p.m. Tuesday, Sept. 18, at the Johnson City Library. JOHNSON CITY — When it comes to music, there’s a difference between a jig, a reel, and hornpipes. If you can say "carrots and cabbages, carrots and cabbages" in time to the music, it’s a jig. If you can say "double decker, double decker" in time to the music, it’s a reel. Hornpipes are harder. The rhythm is more flexible. Many, but not all, go "humpty dumpty, humpty dumpty." Still unsure? No worries because the Johnson City Library is hosting an event that explains — and demonstrates — these differences. 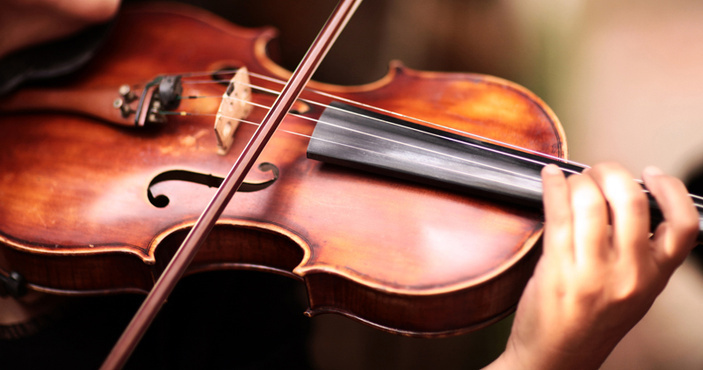 “Old-Time Fiddle Music” featuring music from centuries long gone is 6 p.m. Tuesday, Sept. 18, at the library, 501 Nugent Ave. The event is free. It will feature Jim Wiederhold, a musician and Civil War expert; Mike Bond, a Hill Country musician who has led a Friday night acoustic music jam in Wimberley for three decades; and Fred and Sue Knorre, who organize and lead the Pearl Bluegrass 1st Saturday Jam and Stage Show in Pearl, a free monthly gathering. Bond plays the guitar, mandolin, fiddle, and drums and enjoys many styles of music. Fred Knorre plays guitar while Sue Knorre plays fiddle, and they love playing old-time fiddle tunes in addition to bluegrass music. Wiederhold met the Knorres at Pearl, where they were three of 20 musicians playing acoustic string instruments in open jams. The musicians will play dance tunes during the program, some going as far back as the 1500s. “Bluegrass has recently revived some of these old songs, but they’re played so fast that they don’t sound much like they did originally,” Johnson City librarian Maggie Goodman said. Such as the song “Greensleeves,” which is supposed to have been written by Henry VIII for Anne Boleyn, his future queen and one of many wives. The song would have been a Renaissance courtly dance, slower and more melodic, Goodman said. Some of the other songs show how the meanings and words change from one part of the country to another as the melody stays the same, she added. Wiederhold got the idea for the event when he was playing Civil War music during one of the Civil War Roundtables the library hosts, Goodman said.